Note: This post is from 2012, look for a new post in 2016 Q4 or 2017 Q1 with new editing style/techniques. On my website I mention that every photo is individually enhanced but not Photoshop. What do I mean by this? 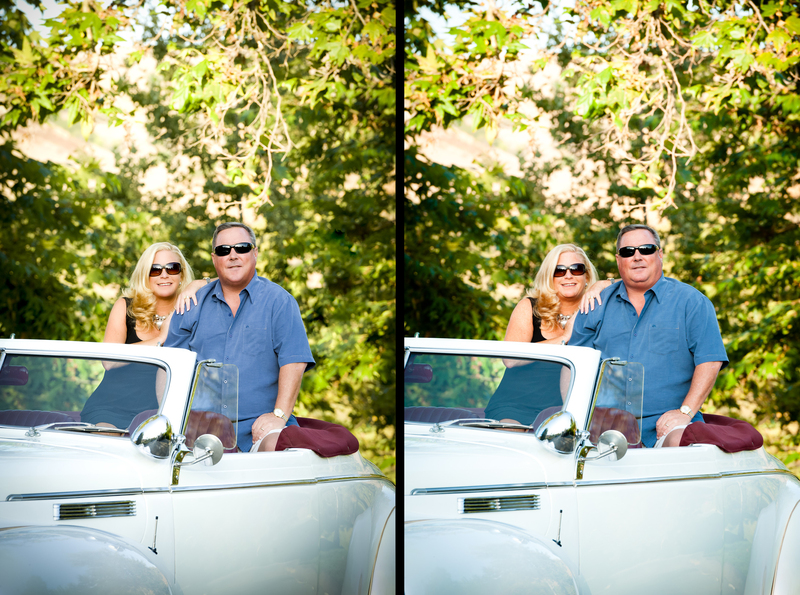 I process every photo to ensure it looks its absolute best, that can mean anything from adjusting color balance, exposure, or adjusting contrast. This is why it takes weeks for the client to receive their DVD. Does this mean that any old photo can be made to look good? No, every photo needs proper exposure and good compensation to begin with, but it does not stop there, each photographer must enhance the photos to represent the image they had in mind when the picture was snapped. Besides no two (digital) cameras are alike and when I have an assistant, they often shot with different cameras then I do and I must ensure that the photos look similar and not like a hodgepodge. 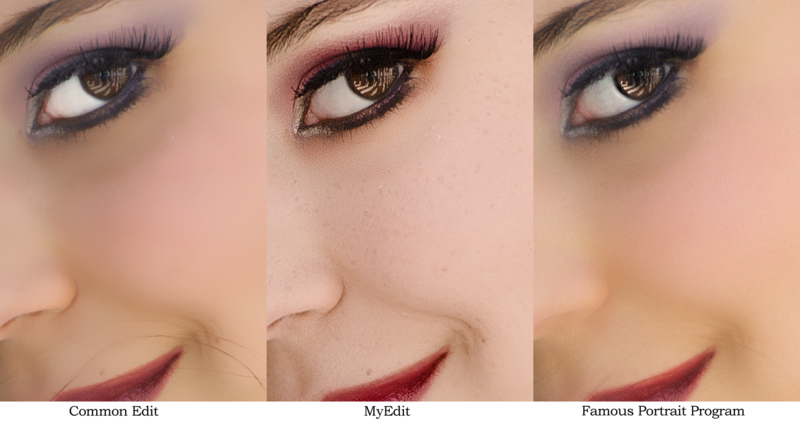 On the following sample demonstrates color correction and skin enhancement. You may recognize Nina, my bride from a previous posting.Nina now a citizen of Belgium was born in Kazakhstan and has a Russian background. In other words she has a pale complexion, in many of the pictures I previously posted of Nina, she had a more tanned look because I used a soft gold reflector on many of these shots to lift the shadows from her face. To start, the camera took this photo with the Auto White-Balance (AutoWB), and even though AutoWB is right on or in the neighborhood about 50% of the time, in this case it missed. How am I so sure it missed? 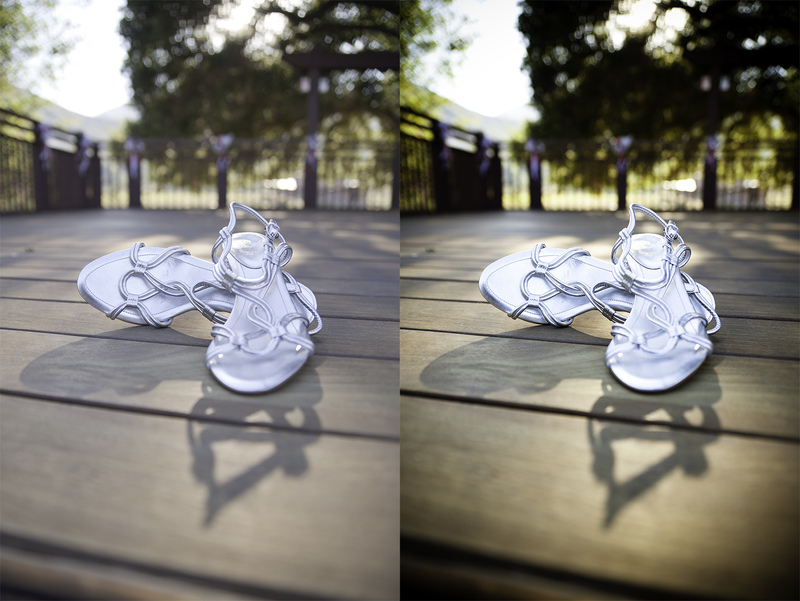 Because I used a handy color calibration tool as shown here. 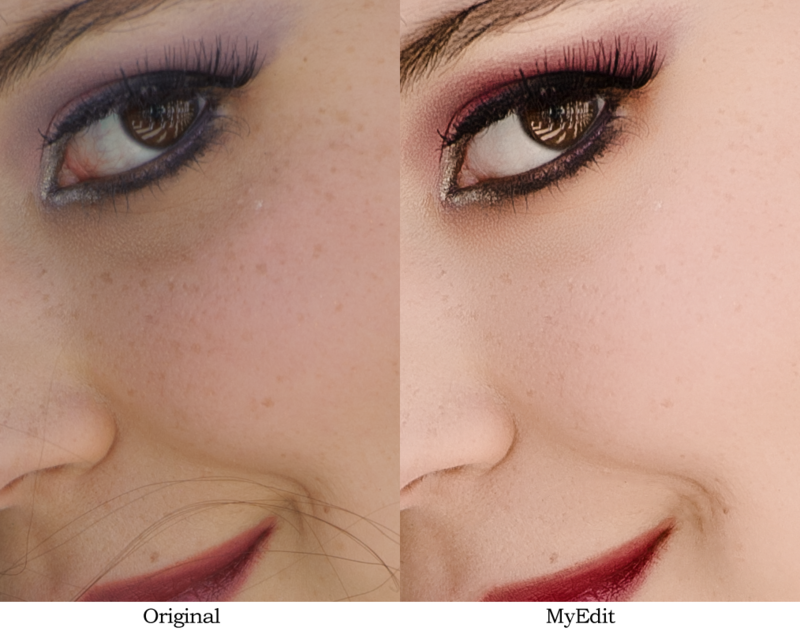 I corrected the WB and gave a slight boost to the mid tones then exported it to Photoshop were I applied numerous techniques to soften the skin, evened out her skin tones, removed stray hairs, and gave her eyes a slight boost. The colors are exactly as I remember seeing them and thanks to using to the color tool I know they are what they should be. See the following samples to see how my edit compares to the original and to the most common editing techniques used in the industry. 1. Original: First up is the original straight from the camera, because Nina has great complexion the photo is almost good enough.2. Common Edit: The next photo is the most common technique used by amateurs and many professionals that are not well versed in Photoshop.Here I took the photo straight from the camera without correcting the white balance and applied a blur filter on her skin, then I painted the white of her eyes, one may think I went overboard on the white, but believe me that thousands of people do this (atomic) technique and think it looks great.3. Famous Portrait Program: A few years ago a company released a plugin for Photoshop that promised perfect portraits everytime. This is an example on how this plugin looks.Surprisingly it did a great job of removing most of the stray hairs, but it removed all of the skin’s texture. Which in my opinion, Nina’s freckles are cute and are a part of her.If one of my clients showed a photo like this to her friends the lack of freckles would scream PHOTOSHOP! 4. My Edit:Here is my color corrected version, her skin looks smooth and it retained its texture.I brightened up the eyes a bit and toned down a little of the redness without going atomic. ABOVE: Because I needed to shrink the pictures for web use, many of the details or lack thereof details are not visible in the first series. The next set are the same photos seen closer up. I choose Nina’s photo to demonstrate some techniques because I did not want to embarrass someone with less than perfect skin. Still I hope I was able to demonstrate how I can improve an already good photo and make it better. 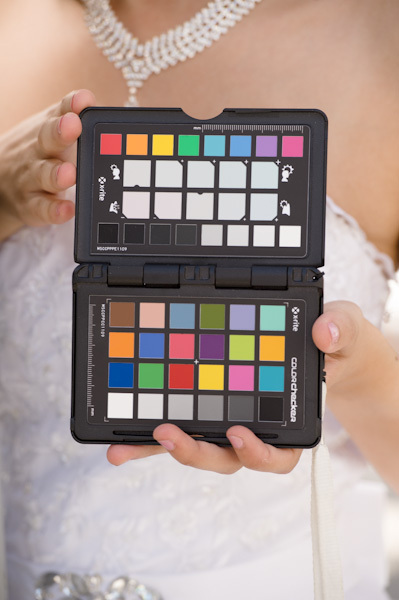 Photos that are selected for wedding albums receive extra attention and I remove little distractions that take away from the image, I also properly sharpened and apply the proper color profile depending on the printed medium the client chose for their album. I do not edit people’s faces or slim them down unless specifically asked to do so. However, if the client insists that they want digitized plastic surgery and are willing to pay extra for this editing, I am able fulfill their wishes.